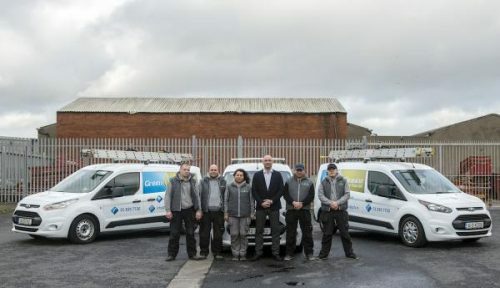 “Green Cleaning For You”, an experienced professional cleaning company in Dublin, have launched a new online booking system. It allows customers to book time slots that suit them and arrange cleaning around their busy lifestyle. “Green Cleaning For You”, a cleaning company in Dublin, Ireland, have launched their online booking and payment service via their website. The system allows clients to select what services they require, book a time slot for the work to be carried out, and also have the option to pay online using PayPal or cash on arrival. “Green Cleaning For You” offers carpet cleaning, oven cleaning, end of tenancy cleaning, house cleaning and upholstery cleaning as part of this service. The service is designed to make it easier and faster for customers to book the options that are right for them. The company have been providing expert cleaning services in the Dublin area since 2010. In that time, they have become known as a leader in the cleaning field and specialise in making customers’ homes and offices look their best. No matter how big the cleaning job is, “Green Cleaning For You” pride themselves on being able to help. Now, with the new booking system, customers can quickly and easily book with a time slot that suits them. This means that they can arrange the service around their busy schedule, making it ideal for those who work or manage hectic lives from home. Each order also comes with a 100% satisfaction guarantee. The company covers the whole north side of Dublin from Artane through to Whitehall, along with south side Dublin, Co Kildare, and Co Meath. Anyone looking for professional, high quality carpet cleaning, oven cleaning, end of tenancy cleaning, house cleaning and upholstery cleaning is encouraged to get in touch using the new booking system. Those wishing to find out more about “Green Cleaning For You” can visit their website on the link provided above.